This week's stop is Fairy, Texas and our special guide is Margo Bond Collins. Margo is the author of the Fairy, Texas young adult paranormal series. In my novel Fairy, Texas, the town is a small, but thriving, community—there's a high school, a downtown, a few restaurants, even a Sonic drive-in. In reality, Fairy, Texas was never as big as the town in the book, and is now a something of ghost town (appropriately enough for this feature!). But the fictional version of Fairy is based on several of the nearby towns in North Central Texas, where I grew up, and there's no lack of spooky to be found. 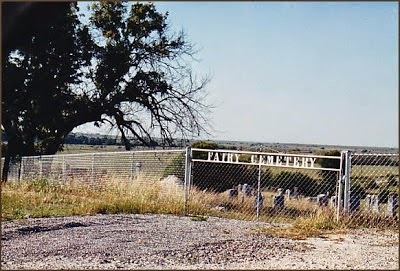 So the following list includes the spooky places in and around Fairy, Texas—and the towns that inspired the novel. Originally called "Gap," but later re-named after the local schoolteacher, Fairy Fort Phelps (sometimes listed as Felps), who grew to be only 2'7". There is little left in Fairy other than a few buildings and the cemetery. McDow's Hole, a small, natural reservoir, was a logical place to settle. Near modern-day Dublin, Texas, this watering hole was also the site of a nineteenth-century mystery. In the 1860s, Charlie and Jenny Papworth moved to the area with their young son Temple, and soon had a second soon. Not long after their second son was born, Charlie received word that his parents had died and that he had inherited their furniture and would have to travel 200 miles to pick it up (the nearest train station at the time). When he left, he asked his wife to spend the nights with one of two neighboring families. But one night Jenny never arrived at either home. The next day, the neighbors found no sign of Jenny or her infant, but there was blood on the floor of her cabin—and her five-year-old son Temple was discovered cowering under the bed. Jenny and the baby were never found. Ever since, there have been tales of Jenny and the baby haunting the area, showing up in the cabin itself and floating above the water of McDow's Hole itself. And despite the fact that the land is now closed to trespassers, people still make the trek out to wait to see Jenny Papworth and her baby late at night. In 1879, two men broke into the home of Hico resident Ike Malone and threatened to kill him. The townspeople sent out riders to catch the men, and they were temporarily imprisoned in a shed belonging to the Malone family. But late at night, a mob of roughly seventy-five men arrived, and the robbers were shot to death. By 1882, the reports of ghostly sights and sounds from the shed were common enough that the local paper printed a story about them. The shed is long gone, but many of the buildings in this Texas town boast ghost sightings. 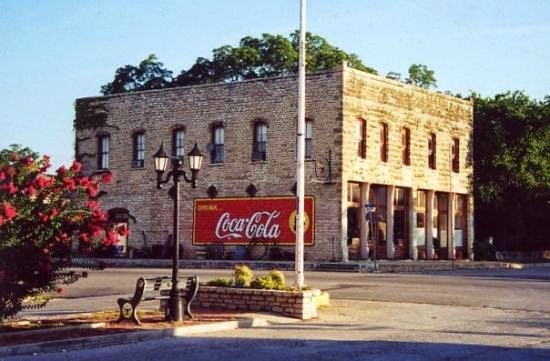 The Granbury Opera House was constructed in 1886, and performances began in 1891, often consisting of traveling shows. Plays are still performed in the Opera House, and various people associated with shows have reported hearing footsteps pacing the balcony and seeing a man in a white shirt, dark pants, and tall boots. Perhaps most interesting is the local rumor that John Wilkes Booth was not, in fact, killed after the assassination of Abraham Lincoln, but instead escaped to Granbury to live under the pseudonym John St. Helen with his cousin (a woman whose maiden name was, in fact, Booth), where he performed bit roles at the Opera House, served drinks at a bar next door, and drank alcohol only once a year—on the anniversary of Lincoln's death, when St. John would get blindingly drunk and quote Shakespeare. The latest batch of UFO sightings—centered in Stephenville, Texas, but occurring across this particular stretch of Texas—occurred in 2008 and 2009. Strange lights moving through the sky were reported by dozens of eyewitnesses and have not been explained. 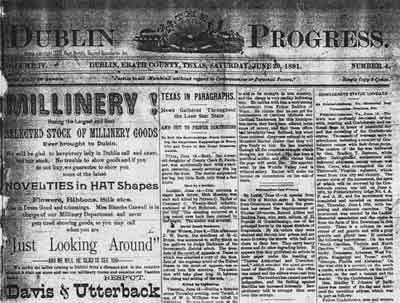 These sightings bear a resemblance to those discussed in an 1891 newspaper article from Dublin, Texas. (All I know for sure is that I spent my entire childhood watching for UFOs from my home in Stephenville—and they didn't appear until I had moved away! Thank you Margo for giving us such a haunting tour of Fairy! To learn more about Margo Bond Collins and her books, please visit her website. 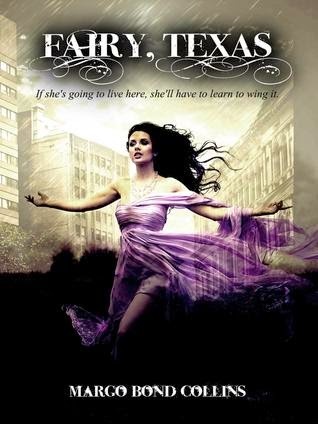 You can add her Fairy, Texas series here on Goodreads. What did you think of Margo's picks for spooky places? 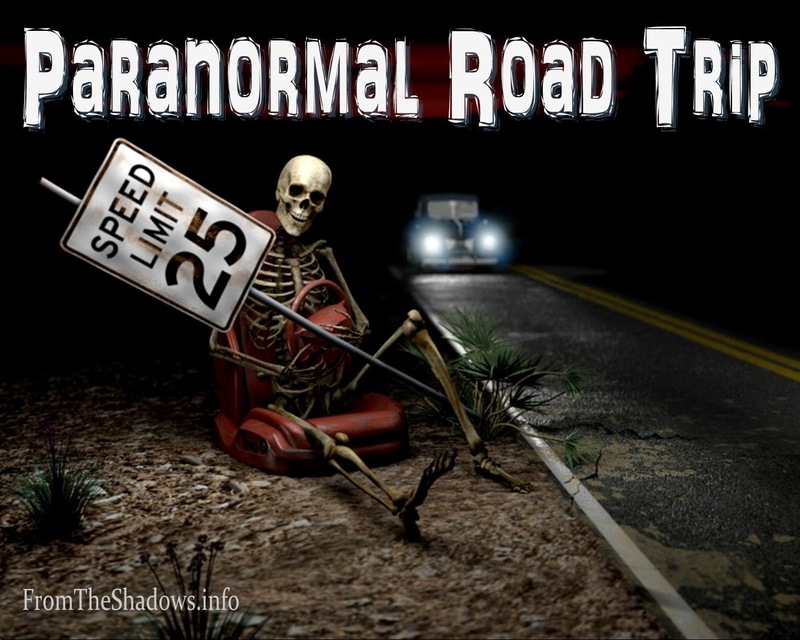 Last week on Paranormal Road Trip we visited Kingsholme, Faerie with C.T. Adams. Next week we'll be traveling to Sonoma County, California with Sharon Hamilton.